This tennis court will be clean soon. 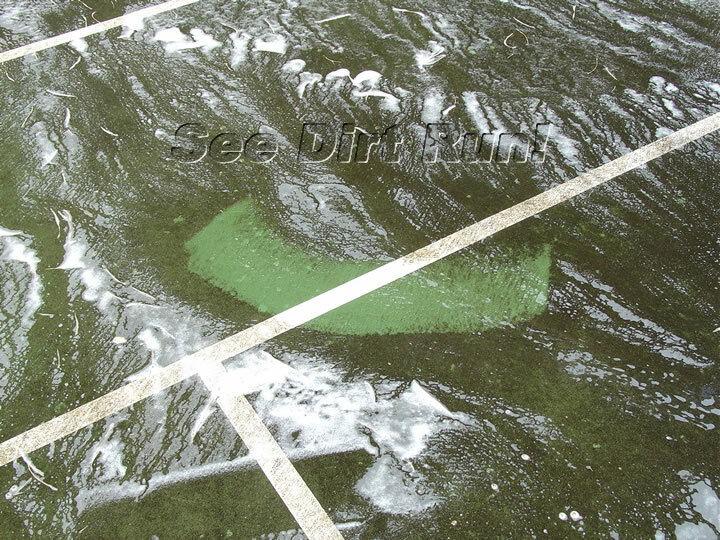 Tennis court washing is an important part of keeping your tennis court clean and free of dirt. It’s important to clean your tennis court because washing removes mold, mildew and algae growth and helps to maintain the surface, and ensuring that you get to safely enjoy your court. Cleaning provides safer traction for those who are playing on the courts. Slippery surfaces can be hazardous and a liability to the owners. 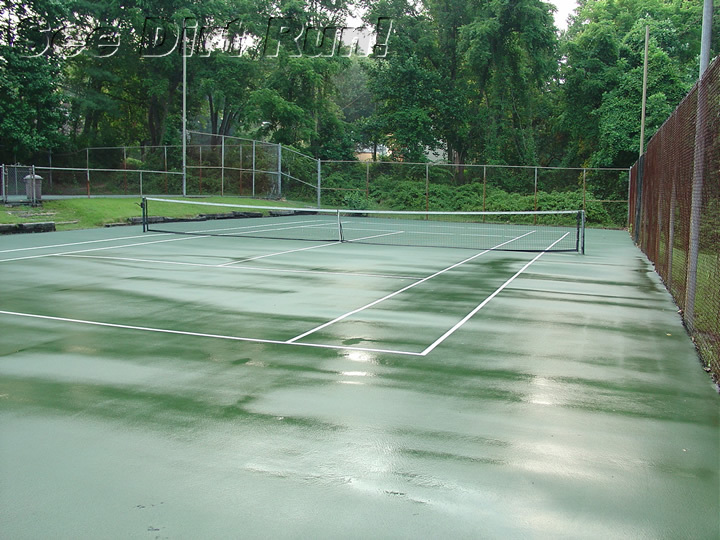 For this reason we suggest annual cleaning with a safe low pressure tennis court washing. Using the wrong methods or cleaners can harm the surface of your tennis court. Therefore, using a safe gentle low pressure effective cleaning method is best. Give us a call and we’ll that your tennis court is properly cleaned and free of dirt and ready for a season of great play. Playing on a dirty surface can also represent a slip and fall hazard, resulting in potential injury to the player. For the best traction possible it’s best to keep your court clean. 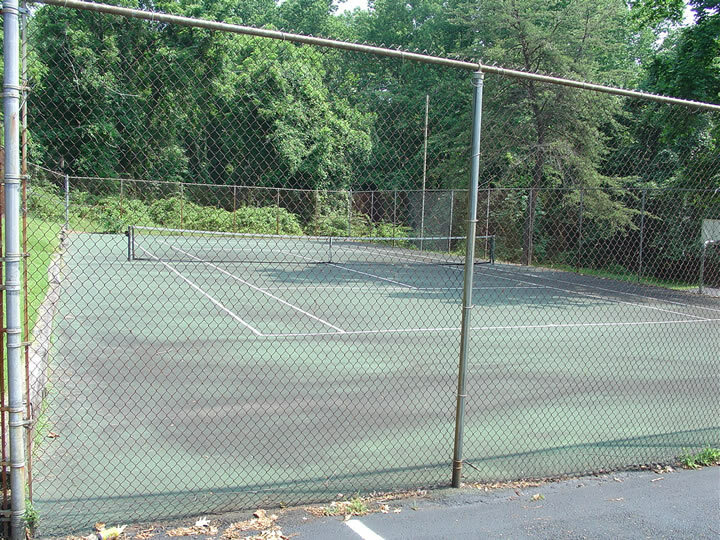 Keeping leaves and debris off of your court will help to keep it cleaner longer after our services have been performed. If leaves and debris are allowed to build up on the court, the regrowth of mildew and algae may occur more rapidly and tennis court washing may become necessary again. Serving: Maryland and Northern Virginia. Our service areas for Maryland are: Montgomery County, Frederick County, Howard County, Carroll County. Cities in Maryland include: Potomac, Chevy Chase, Tacoma Park, Olney, Rockville, Bethesda, Kensington, Columbia, Clarksville, Silver Spring, Laytonsville, Mount Airy, New Market, Ijamsville, Gaithersburg, Montgomery Village, Germantown, Darnestown, Poolesville, Frederick, Urbana, Clarksburg, Barnesville, Brookville, Burtonsville, Cabin John, Damascus, Derwood, Kentlands, New Market, Sandy Spring, and Boyds. Our service areas for Virginia are: Loudon County, Arlington County, Fairfax County, Ashburn, Leesburg, Alexandria, Herndon, McLean, Annandale, Arlington, Chantilly, Falls Church, Glen Echo, Great Falls, Oakton, Sterling, and Vienna. Contact our office today.